This wall mounted 48 plate tree is especially useful “mate” in kitchens on board ships, RV’s, barside, or the private home. 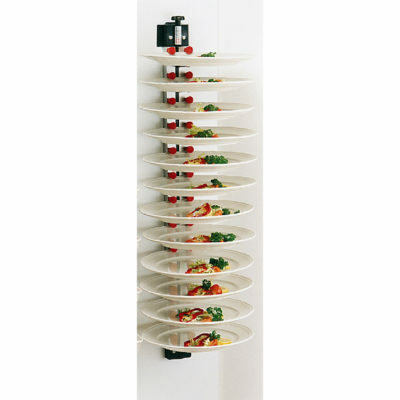 This wall mounted 48 plate rack would be a useful addition for any space in the kitchen where you often need a third hand to hold your plates. 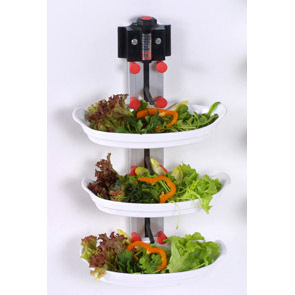 This 48 plate stacker is a true helper in your kitchen when entertaining or in the industrial kitchen, bar, or pizzeria. This 48-plate wall model is equipped with a suspension eye at the top. 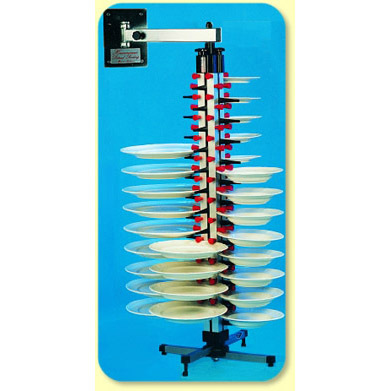 It can be suspended from a wall-mounted support arm or mounted directly on the wall as a permanent fixture. This is an especially handy feature in a cold storage area. 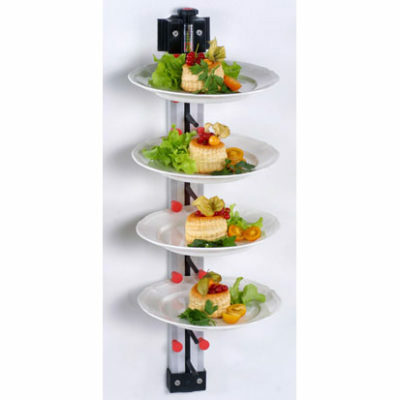 Allow your guests to self serve themselves at brunch if you have one or two of these mounted strategically with your room temperature items or signature brunch dishes that you know your guests will want.